The United Nations (UN) 2030 Agenda for Sustainable Development defines Multi-Stakeholder Partnerships (MSPs) as a tool for helping to realise the Sustainable Development Goals (SDGs). However, prior experience of such partnerships between state and non-state actors (from the private sector or civil society) has shown mixed results. Significant successes have been marred by too many failures. 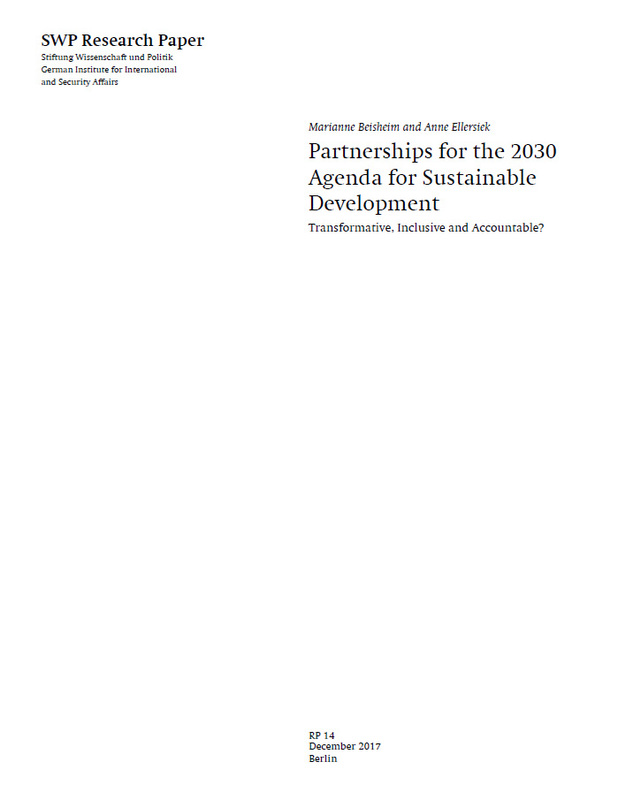 This study examines to what extent policymakers and other relevant actors integrate these insights into multi-stakeholder partnerships – especially as regards their conditions for success – when calling for and fostering new partnerships for the SDGs. This study presents the results of a series of interviews to establish the views and requirements of selected actors on the topic. These interlocutors come from four areas: the United Nations environment, donors and funders, governments and private initiatives. We will also examine the extent to which these actors already deliver de facto “meta-governance” to support, steer and verify partnerships in a more targeted manner. Meta-governance means overarching principles, rules and guidance intended to enable or ensure partnerships in their work. Here too the results are mixed. Whilst we identified many meta-governance building blocks, they add up to a fragmented rather than coherent overall picture. Given these conditions, there is a risk that new partnerships will repeat past mistakes instead of learning from them. In that case, partnerships will struggle to contribute inclusively and accountably to “transforming our world” along the lines of the 2030 Agenda.